In order to link A Wonderful Life with Friends of Mineral Town, you'll need a copy of each game, a Nintendo Gamecube, a Nintendo Gameboy Advance, and a link-up cable. Before you do anything, put the GCN control stick into the Gamecube's first control slot and the link-up cable into the second. The cable should be connected to the Gameboy Advance. 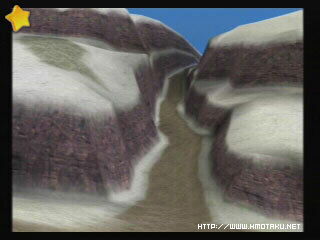 To start the link in AWL, walk over to the west side of the valley to the mountain path. Nic, Nak and Flak will stop you. When they ask you if you want to link up with FoMT, select yes. After listening to their instructions, confirm your action by selecting yes again. In FoMT, you'll need to throw something into the Goddess pond in order for the Goddess to appear. When she asks you if you want to communicate with a Gameboy Advance, select yes. After telling you what to do, the Goddess will ask you if you would like to stop communication. Even though she's basically contradicting what she's saying, select yes and you'll continue. The games will process for a moment, and then will notify you when the transfer has finished. In AWL, Nic, Nak and Flak will tell you if anything new's happened, and what it is. New events will happen first in FoMT and then switch over to AWL. For example, if you want to buy a record from Van in AWL, you're going to have to play FoMT until Van visits on Wednesday and then link-up the two games for a second time. Van will return from Mineral Town with a new record. Van visits Mineral Town on Wednesdays and sets up his shop on the second floor of the Inn. Van will only stock a new item in AWL and FoMT if you speak with him and he says something to the extent of that he's going back to Forget-Me-Not or Mineral Town. After Van's visited in FoMT, make sure you hook up with AWL again so that Van will have the item in stock in Forget-Me-Not Valley. Take note that the listing of items in the AWL section below is not a complete list of what Van has for sale, just what he sells after connecting with FoMT. Before you can play records in FoMT, you must buy the record player from Van for 2000G, which he will get in stock on his first visit to Mineral Town. After that, he'll begin to sell records in both AWL and FoMT. Each of the records he sells are identical in both games, except for the final four: there are two themes from FoMT that are records for AWL, and there are two themes from AWL that are records in FoMT. Ruby visits on Sundays (not Mondays), and stays in the Inn. When she visits, she may have a new recipe to tell you. Once Ruby returns from Mineral Town, she'll tell you yet another recipe for AWL.